Home / Pool Covers / When Should You Replace Swimming Pool Covers? Cover up! Did you know that replacing your swimming pool cover could help you save cash? Rather than running up pool maintenance costs, you can add another layer of protection to your swimming pool with a new pool cover. Like any other type of pool equipment, your swimming pool cover will face wear and tear before eventually requiring a replacement. So when its time to replace your cover, where do you begin? To maximize effectiveness so you can continue to enjoy your pool for many summers to come, let the professionals at Shoreline Pools help advise when it’s time to consult a professional to replace your pool cover and why it’s a worthy investment. Pool covers offer obvious benefits such as blocking dirt and debris from falling into your pool. Pool covers also prevent the growth of algae and bacteria, while keeping those gross bugs and harmful parasites out of the water. 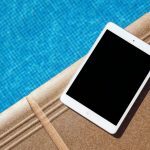 These advantages prove exceptionally important because they save you time, effort, and help cut costs with regard to the number of pool cleanings every season. But towards the end of the season, your pool cover becomes prone to damage. Pool owners often fail to realize that pool covers prolong their swimming season. This handy tool insulates the water during the winter months, allowing you to open your pool in early spring until early autumn. Moreover, pool covers help your pool retain your preferred temperature during those chilly nights, so you can jump on in the next day. Most importantly, pool covers are an added line of defense to help prevent accidents and drowning. For added security, have a trusted pool maintenance professional install alarms that trigger whenever unattended children or pets step foot on the cover. Naturally, you’re probably wondering how long pool covers last. Pool cover life expectancies vary based on 3 main factors; quality, type of material, and the level of sun exposure. Whether vinyl, mesh, or an automatic cover, every pool cover will eventually need to be replaced. There’s no getting around it. This is why you, or trusted pool maintenance professional, must thoroughly examine your pool cover, paying attention to its material. For example, a vinyl pool cover with maximum sun exposure may only last a year while an automatic pool cover may stay viable for 3 to 7 years. By checking the fabric consistently, analyzing the cover for potential tears, and making sure the webbing remains sound, you can better determine whether to purchase a new pool cover for the upcoming swim season. No matter where you store your pool cover, it’s bound to have imperfections. Still, it’s important to have a reputable pool professional examine the fabric of your pool cover for any slight changes. Remember, you aren’t only searching for tears and rips. These changes may be as small as stiffness or brittleness. And even if the material might be in great shape, you may notice discoloration, stains, or mold. These are telltale signs that it’s time to ditch that old pool cover and upgrade to a better one. It’s also important to check both the bottom and top of the cover, and ask for help; two sets of eyes are better than one. You’ve put a lot of hard work and a significant financial investment into your pool. Make sure you keep it safe with a pool cover that does its job. Are There Tears In Your Pool Cover? A pool cover consistently shields against debris. If your pool sits under trees, there’s always a possibility of a branch puncturing your pool cover. Similarly, the sun’s harsh rays and chemical in your pool slowly deteriorates your pool cover. Naturally, a pool cover will start to tear in places where it receives the most stress. If you see cracks, peeling, or tearing, don’t try to extend the cover’s life, leave it to the pool professionals. Putting off the inevitable purchase will only impact your enjoyment in the long run. Webbing refers to the stitches keeping your cover together. Without it, your pool cover will fail to work effectively. 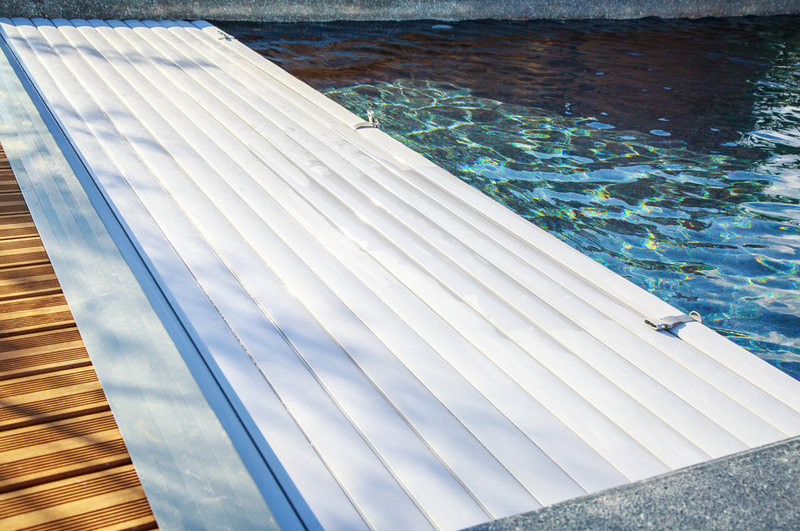 A pool cover with sewn webbing relies on a tight, clean stitch. If you see loose ends or areas where webbing has come undone, you need to buy a new cover. If the webbing begins to break down, warp, or fray, these are clear indicators it’s time for a new pool cover. If you still have any doubts, you can test the webbing by pulling on the cover gently. Does the webbing separate from the cover? Do you see visible stress points? These are signs of a faulty cover and time to seek an experienced pool maintenance professional to replace your worn out pool cover. Pool covers protect your pool and keep other maintenance costs low, all while extending your swim season. Whether to protect the swimming pool during the winter months, to keep bacteria away, or to reduce evaporation, pool covers are a beneficial addition to your pool and worthy investment to preserve the life of your pool. Don’t make them irrelevant by trying to overextend their lifespan. By following the aforementioned tips, you and your pool service can easily determine when it’s time to upgrade covers to keep your pool safe. 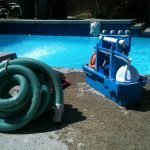 Residents in New York and Connecticut should seek a top NY Pool Installation and Service Company near you. Contact Shoreline Pools today.